My Grandma Willa had a passion for white shirts. 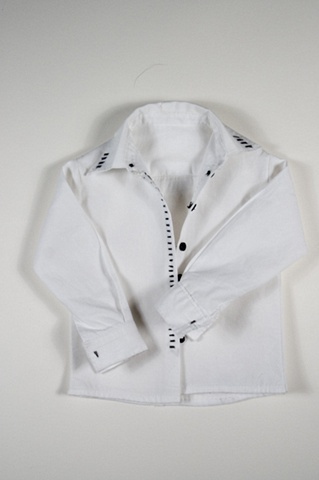 On men, women, children--there was nothing better than a crisp, white button down. Married to a Navy man for over fifty years, she starched and pressed them with precision, detail and love. She always was buying new ones on her frequent trips to TJ Max, likely the origin of this one. As a child, she often took me back to school shopping, convincing me that I needed one to start the year--much to my mother's dismay, as she has always viewed white as an impossible color. Today, I love them too. The last time I saw her, I was wearing a white shirt with a tweed skirt. We talked about how much she liked my shirt.